It’s GIVEAWAY TIME again!!! WHY??? Because Give Aways are fun and you guys are great! You’ve been so wonderful to visit the blog, encourage me on facebook and tag me on Instagram. It’s been such a great kick off to the addition to the Ninja Mom Designs Business! She has donated a Large Zipper Pouch from Thirty One- which is the perfect size for holding your Happy Planner! 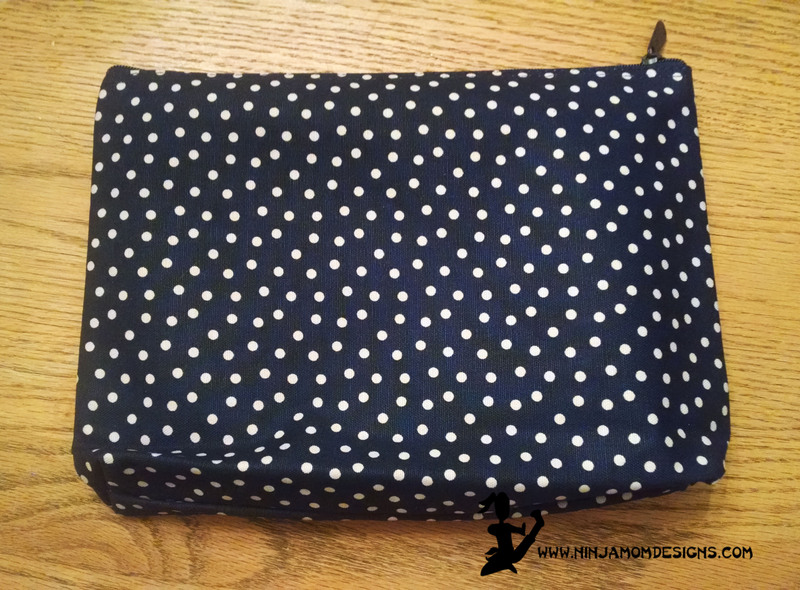 The pouch will be in the Navy Dots Pattern (pictured). It is Navy Blue with Yellow/ Gold Dots. You will get to choose how you want it embroidered! I would suggest something like “Planner Girl” “My Life” “Plan All The Things” etc. Ready for some great news! You can buy the Large Zipper Pouch from Thirty One for just $5 with any $35 purchase (through November 24th). 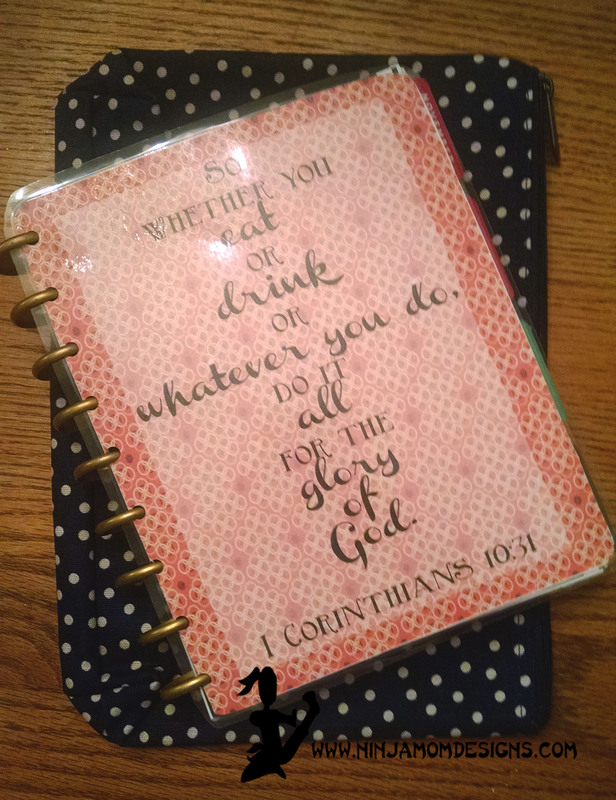 Head over to Shannon’s Thirty One Site and check out what Thirty One has to offer. 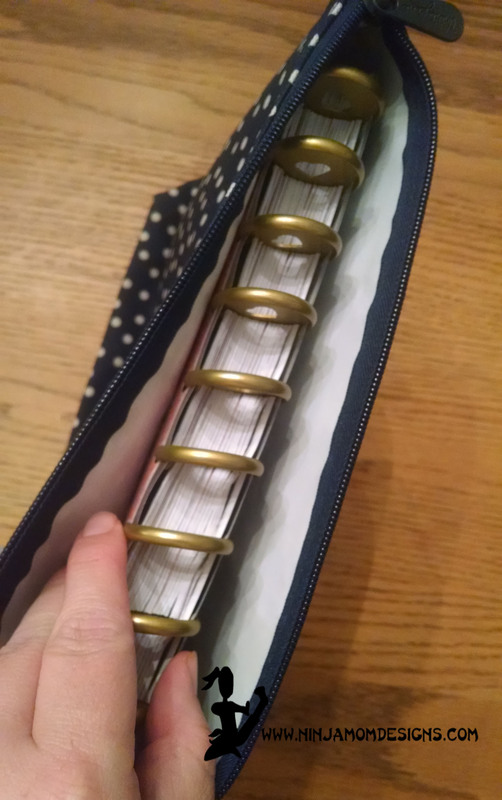 By the Way, the Creative Caddy is fantastic for carrying all the Planner Goodies! Fill Out A Quick Survey from Shannon @ Thirty One… You’ll have to copy and paste the link (in a new window) then return to the RaffleCopter and let us know you completed the Survey! Visit Shannon’s VIP Group on Facebook and Request to join… this is not a fan page, but a group. The more options you complete, the more chances you have to win! Give Away Ends November 23rd at Midnight (EST). Winner will be notified via email. Love Thirty-One bags. Thanks for the chance to win one! Love Nina Mom Designs and have downloaded everything you have offered. 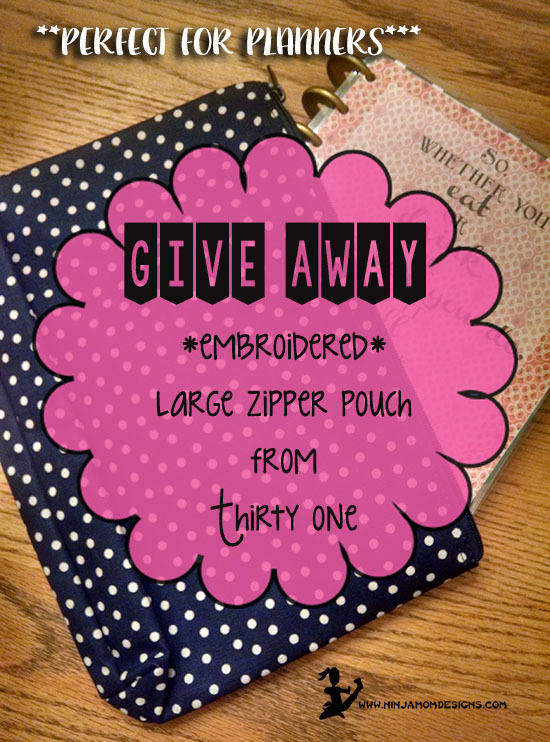 I’d love to win this planner zipper pouch and have done everything but follow you on Twitter. I don’t know anything about Twitter (or Instagram) and am not able to follow you there. Hope that doesn’t eliminate me from the contest. If it does, then I still thank you for sharing all of your wonderful designs and will congratulate the lucky winner! This looks really cool. I am interested in finding out about Thirty One bags, etc. I’ve seen so many cool things. Would love to win this! Thanks for doing the giveaway!! !